A creative theme song based on Songify The News’s YouTube comedy videos finds a man’s Kimmy-related interview by a fictitious news channel remixed into a catchy song with lyrics like, “they alive, damn it,” and iconic hook closer, “but females are strong as hell.” It never gets old. 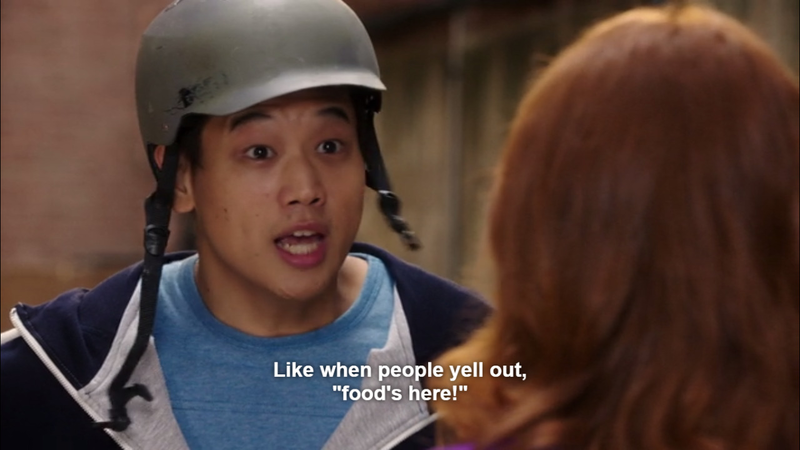 Since the show is centered around a woman who reacclimatizes herself with modern day society after being held hostage in an apocalyptic-proof bunker for fifteen years, Ellie Kemper‘s Kimmy makes tons of awesomely outdated references only true children of the 80’s and 90’s will recognize. 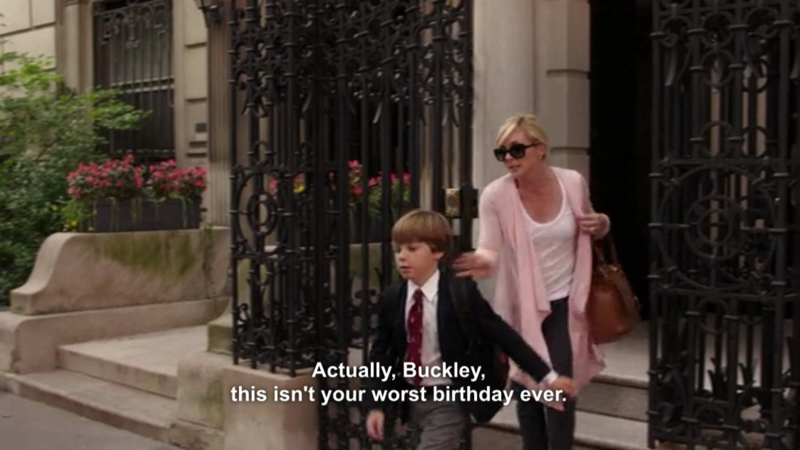 Jane Krakowski and Tina Fey cameos aside. Both shows were created by Fey and feature her comedic styling and witty humor. A win-win. The show received some negative press for its stereotype-perpetuating racial portrayals but I personally think the media is being too sensitive. 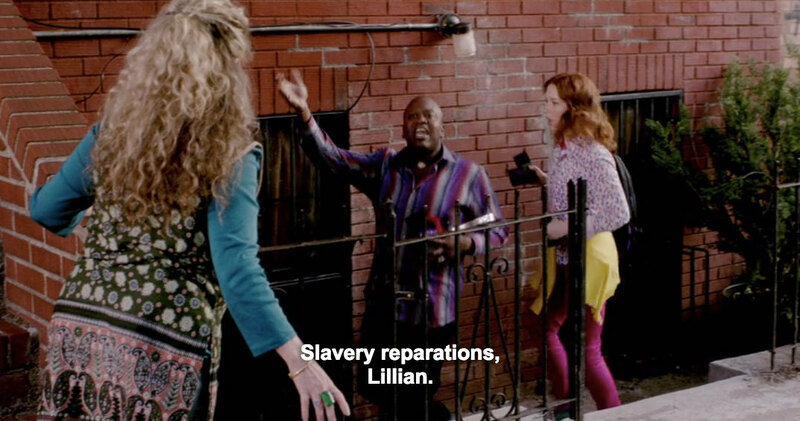 Unbreakable Kimmy Schmidt leaves no race out of the equation. Whether you’re white, black, hispanic, asian, gay, straight, skinny or plus sized, you’ll be offended at some point throughout the show’s 13 episode run. Deal with it. That’s how comedy works. 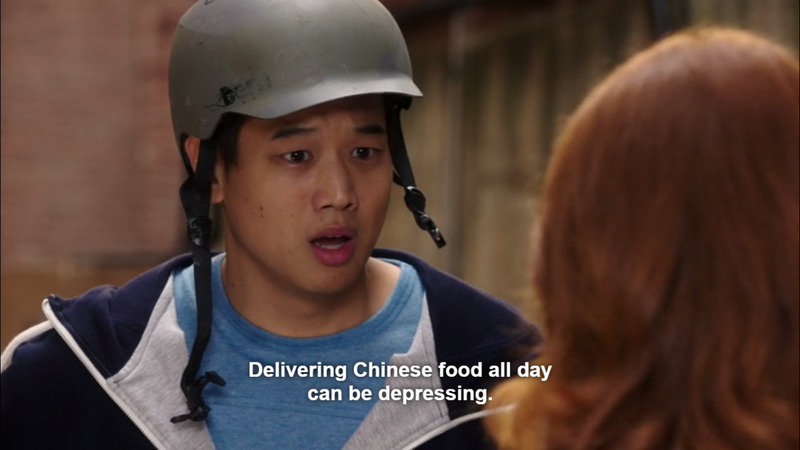 On Unbreakable, layers of multifaceted comedy are woven into Kimmy’s world with the inclusion of multiple characters who bring their own signature comedic elements to the table – often stealing the show. 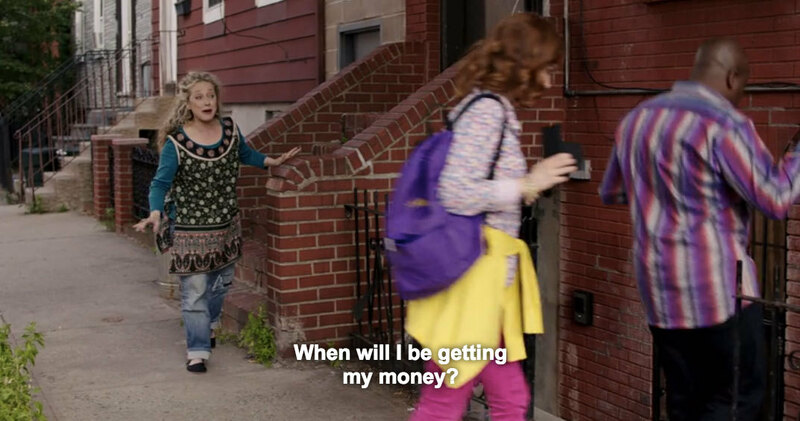 Carol Kane plays cooky landlord Lillian, above, Jane Krakowski portrays Kimmy’s boss and one percent clinger Jacqueline, below. 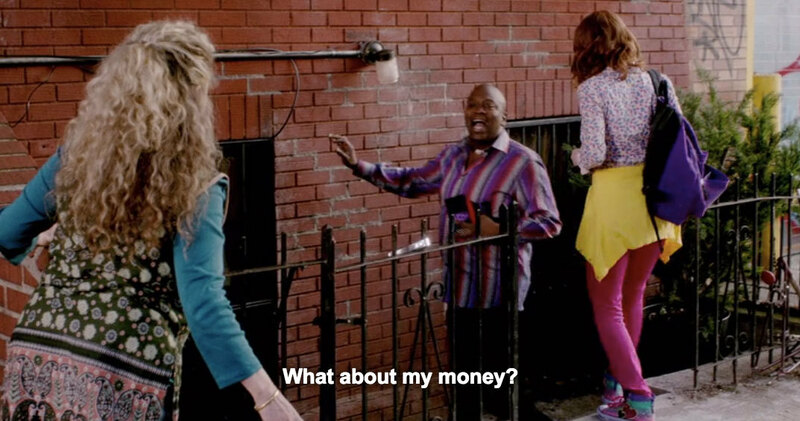 Tituss Burgess is Kimmy’s self absorbed roommate Titus, below last, and Ellie Kemper is the show’s optimistically naive lead Kimmy, bottom. The show also features a brilliant supporting cast with stand out performances like Dylan Gelula as spoiled step daughter Xanthippe and Sol Miranda‘s sassy, solely Spanish speaking Donna Maria Nuñez. The mix of personalities (and dedicated character acting) work well together to sustain laughs throughout the season. If you enjoy the first episode, you’ll easily find yourself having watched all 13 episodes soon after. 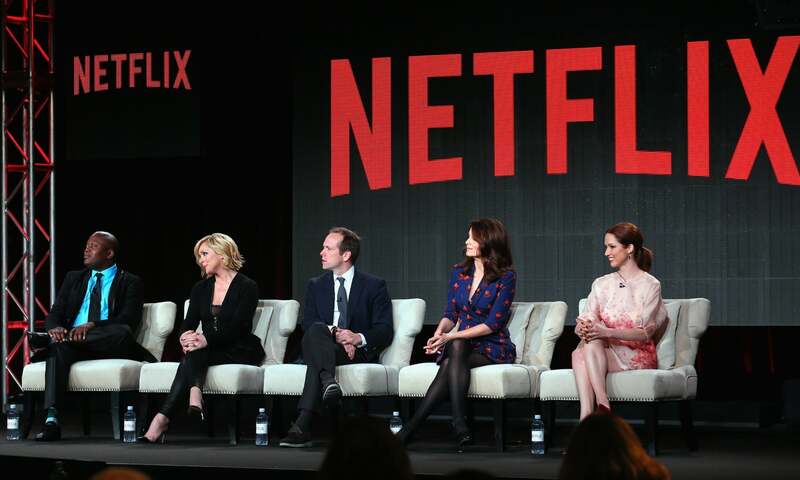 The show is reportedly proving to be a success for Netflix and has been green-lit for a second season. Unsurprising, since it’s so darn funny. 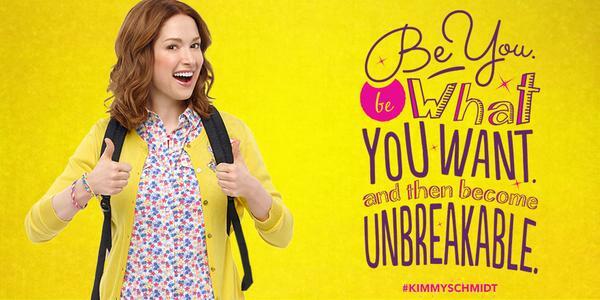 Check out the Netflix Original Series Unbreakable Kimmy Schmidt on the official website for the streaming service and happy binge-watching!